We are your reliable home care provider in Texas. A Plus Sitting Service is dedicated to providing exceptional services to clients in their homes while assisting them to achieve the highest level of potentials in their day to day self-care activities. Our goal is to meet the clients’ needs in the nurturing environment of their homes by providing a reliable, safe, and personalized client care to excellent services. 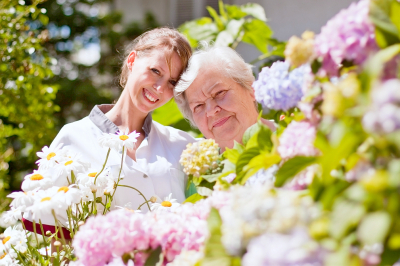 A Plus Sitting Service is an In-Home Senior and Elderly Care Agency. Before we invite an individual to join our team, our employees have undergone a thorough selection process which includes background checks, drug screenings, and interviews. Thus, you can trust that our caregivers are insured and trained which means you will receive the care from a trusted and professional caregiver. Living at home is a priority among many seniors but we understand that aging may make this difficult over time. This is why we provide in-home care services that help seniors live an active independent lifestyle. A Plus Sitting Service provides a range of in-home care services, whether you’re seeking personal care or in-home companionship, we have you covered. The company started in 2011 and was licensed by the state in 2016. A Plus Sitting Service came into being when the owner, Anissa Haynes, received an Entrepreneur magazine by mail which had a section advertising an In-Home Care Franchise. After reading the Ad, she strongly felt that it was something she can excel with, having ample licenses, certificates, and experiences in the Home Care industry. In 2015, Anissa Haynes took the necessary steps to get licensed. She chose her cousin Ramona Davis to stand as the Administrator and an Alternate Administrator, knowing fully well that they share the same passion and effort to run a successful business. She then began delivering fliers to Doctors’ offices, Home Health, Hospice Agencies, and Nursing Homes which fortunately received an overwhelming response. Until now, the company continues to grow. Looking back, Anissa Haynes acknowledges the impact of her former instructor at Angelina College in opening her eyes to take the next step from where she was. Now, the company’s referrals continually flourished based on the people’s knowledge about her work habits and ethics. All of her schooling and training has culminated in her ability to specialize in an area where the company’s clients may have a need. If you have further inquiries, comments, and suggestions, please feel comfortable to reach us. Service Areas Covered: These are the counties we cover: Polk, San Jacinto, Liberty, Trinity, Tyler, Walker, Houston, Angelina, and Montgomery.